Embrace this fantastic Phoenician winter with the new Commuter Knit Sweater in classic black & grey. Layer on our favorite Gypsy Scarf and the striking Multi-Gem Mala for a look that is practical and chic. 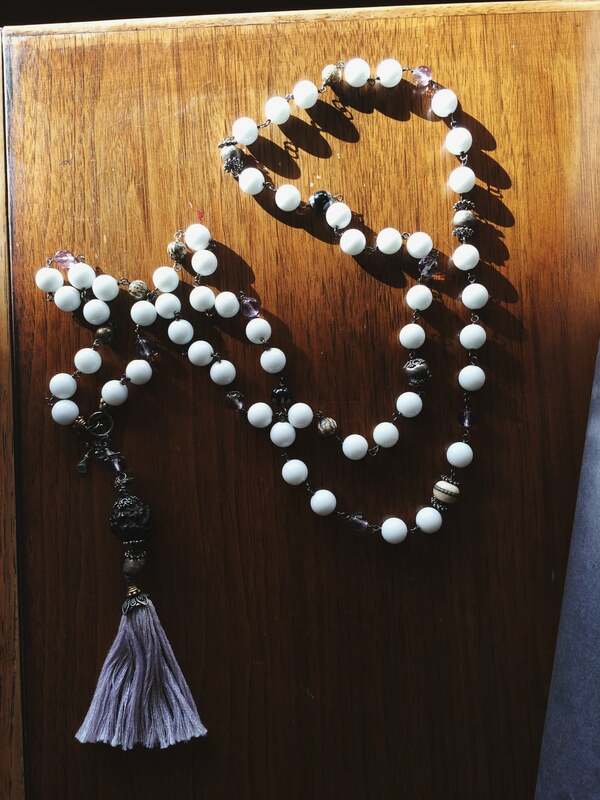 This beautiful mala features white onyx, facet cut purple amethyst, smokey quartz, Tibetan silver, tear of Shiva Bali with a toggle clasp. Wear for a calmer mind, body, and soul. Handmade with love in Phoenix, AZ by Melissa Zaki. One of a kind.